Higher education is currently one of the most competitive industries in the world, generating £95 billion for the UK economy and $1 trillion for the U.S. economy. Analysts at Technavio forecast the global higher education market to grow at a CAGR of more than 12 percent by 2023. The team at Technavio noted that “one of the key factors contributing to the growth of the global higher education market is the increase of internationalization in the education sector.” With such rapid predictive growth, student recruitment and retention strategies are more important than ever. With this in mind, there is an increasingly common understanding that technology is critical to your institution’s success, especially when it comes to the management and strategic implementation of social media. Using social media to achieve multiple business goals in higher ed isn't something new, but there's still a huge gap between the appreciation of the value of social media versus the investment in the people, resources, and technology social media needs to be successful. Since I've spent time on campus and working for Hootsuite, a social media software company, I'm often asked for advice on how to bridge the gap between the acknowledgement and investment. In my experience, it's imperative that the buy-in starts from the top, at the executive level. Much like the chicken and the egg, in order to demonstrate value to senior leadership teams, data and proof is needed to back up a business case. However, the data comes from the technology that requires the investment, so you may need to articulate how the technology will help your campus administrators achieve your institution's business goals. As one of the most competitive industries in the world right now, higher ed contributes significantly to the economic and societal well-being of countries everywhere. We need to evolve, adapt, and deploy new techniques using social to stay ahead of the crowd. As a consequence social listening has become one of the most powerful tools for higher ed. Its multi-use case makes it attractive from a budget and an ROI perspective. But it’s still a relatively new proposition that we need educate ourselves on how it can truly move the needle on your institution's business goals. The use cases for social listening are extensive within higher education, demonstrating that it really can benefit every team on campus. To boil it down, there are three themes that are the most strategically important to consider. Proactive listening across all social networks is an incredibly impactful way to engage with prospective students and parents during critical points in the college decision-making process. A student goes through many different stages of research and engagement with institutions, friends, and family before making their final decision. Hootsuite's Social Campus Report identified that 75 percent of students used social media to research their campus before anything else. With the sensitivity of trust in brands on social media, many students look to their connections on social media for recommendations and advice. If you're able to spot these opportunities and proactively engage with your prospects, you'll have the edge over your competitors. In the UK, I witnessed universities executing this technique with great success, especially around ‘Clearing’ and ‘Adjustment’ key dates. Many prospective students use this opportunity to reconsider their university choice and look at alternative options. Prospective students and parents typically flood social media looking for support, advice, and recommendations. This critical decision-making period is a time when social listening can spot the conversations so the university can engage accordingly. They can deliver a comforting digital experience to the student, as well as harness the power of human connection and redirect the prospect to the next point on the conversion funnel. This is just one example, but it’s a tactic that can and should be applied year-round in the U.S. With enrollment cycles often running continuously, there are opportunities to use social listening to track keywords, topics, and sentiment around attending an institution, spot the conversations, and act on them. Proactive engagement can be an essential student recruitment strategy for your university moving forward. Another excellent example uses student engagement to help with wider university goals from the alumni and development teams, especially with Days of Giving. Purdue University used this strategy with great success on a recent fundraising campaign. In 2018, Purdue raised 37.2 million dollars in 24 hours using social listening as a vital component in the campaign’s success. The campaign had multiple layers but the core used staff, students, parents, stakeholders, and alumni to create awareness and donate via social media. The development team set up keywords and hashtag tracking to follow every social interaction in real time and send a personalized thank-you message to each donor. This proactive, real-time, authentic, and human engagement strategy led to a positive experience for everyone and delivered a significant ROI. Social listening played a vital part in the success of the campaign. Forward-thinking institutions use social listening insights for market research, then apply the insights to future paid/organic marketing campaigns on social media. Understanding the language used and the most common questions prospects ask is invaluable, especially in relation to your campus or your competitors. Using social listening analysis to truly understand your audience allows you to communicate with them in a familiar and authentic way. In a world filled with so much noise on social media, being the brand that connects with your audience separates you from the competition. Student experience has become an essential pillar in every institution’s strategic plan. I think it’s safe to say that everyone reading this post has felt the pain of students accepting admission to a university but never making it to their first day. Finance, personal circumstances, paid work, or lack of motivation all contribute to this situation, but, frustratingly, they all mean that the hard work to convert them is out the window. It doesn’t just stop there, when it comes to losing students there is often a drop-off between the first and second year as students disengage with their learning experience. It's also common that students feel unconnected during their college experience but the moment they graduate, you're back in touch again asking them to become part of the alumni and donor network. This often leaves the student feeling like a commodity. One way to mitigate the risk involved with these themes is with social listening. It can help you drive strategic engagement and build an experience that the student cherishes for life. Creating meaningful interactions for students from their first touch point all the way to the end of their working lives indirectly leads alumni to becoming brand ambassadors for life. You can use listening to understand what your students care about, from complaints to positive experiences and everything in between. Being silent on social can be your worst nightmare—it’s better to show that you’re aware, you care, and that you’re addressing their concerns, no matter how big or small, on a platform that they feel comfortable on. Proactive engagement can be the biggest difference in shaping the student's experience. All of these changes can be done by setting up collaborative dashboards with real-time metrics that are relevant to multiple teams across your campus. 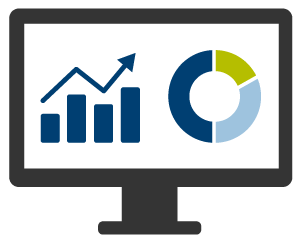 These fluid reports can be automated to save on time and headcount, shared with teams at a click of a button, and used by every team to improve efficiency and demonstrate transparency. 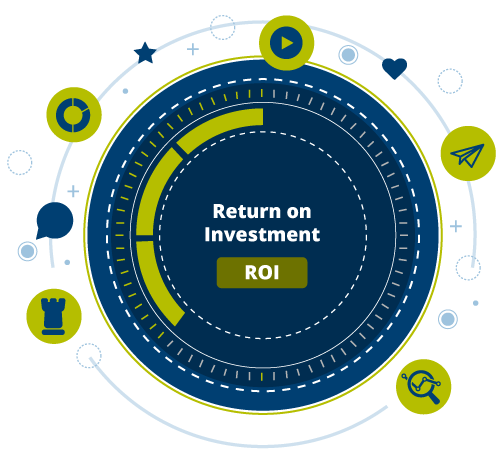 It allows you to deliver ROI on your social media efforts which you can align and integrate with wider business reports that you share with key stakeholders. More importantly, social listening provides a very rich pool of audience data, which gives you a holistic view of your audience across multiple data points—something that no other research method can offer. For that information alone, social listening data is invaluable. There are multiple strategic advantages to social listening and a plethora of existing articles that contribute to the debate. For now, take away that if you lead with data and turn insights into actionable outcomes, you’re on the right track to success. The post Social Listening: Business Critical to Your Institution's Success originally appeared on the Campus Sonar Brain Waves Blog. Alex Wedderburn heads up Higher Education at Hootsuite across the East Coast. Having spent the last six years working in the industry, he brings a wealth of experience and strategic thinking to the many universities that partner with Hootsuite. Hootsuite works with hundreds of universities globally, enabling them to harness the power of human connection to achieve their goals via social. These successful partnerships give Hootsuite a unique advantage when understanding trends, challenges, and opportunities across the board. Alex is the figurehead for this continued success and dedicates his time to align social media goals with the institution's overall vision and strategy.